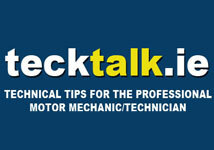 The winners of the Automechanika Innovation Awards 2012 have been selected. At a meeting on 27 August, an independent jury of eight experts agreed on nine winners, which were chosen from a total of 117 entries. 59 of the products entered came from Germany and 58 from 15 other nations. The leading nations among the entries from outside Germany are France, Italy, The Netherlands, Great Britain and Belgium. The jury was made up of the following experts from associations, the media and industry: Ralph M. Meunzel, Editor-in-Chief ‘Autohaus’; Wolfgang Michel, Editor-in-Chief ‘kfz-betrieb’; Matthias Karpstein, Senior Editor, ‘Automobilwoche’, Wilhelm Hülsdonk, Federal Guild Master and Vice President of the Federation of the German Motor Vehicle Trade (Zentralverband Deutsches Kraftfahrzeuggewerbe – ZDK); Matthias Dingfelder, Director of the ‘Schweinfurt Automobile Academy’, Prof Axel Schumacher, Head of the Automobile Manufacturing Department, HAW Hamburg; Thomas Mareis, Editor-in-Chief, ‘Krafthand”; Prof Helmut Tschöke, Institute for Mobile Systems, Otto-von-Guericke-University, Magdeburg. The official presentation of the awards will take place during the Automechanika opening ceremony in ‘Saal Panorama’ of the Forum of Frankfurt Fair and Exhibition Centre at 10.00 hrs on 11 September 2012. The five best products in each category will be on show in the Innovation Awards special exhibition in the Foyer of Hall 4.1. All winners of the individual categories are listed below together with the name of the product, a brief description and contact details. NTN In-wheel motor system is equivalent to that of a compact vehicle. The result is improved performance because the power to the left and right wheels can be controlled independently. Top speed is 150 km/h. Delphi Telematics is basic wireless-communication technology that enables the aftermarket to ‘speak’ with the customer via a device installed in the vehicle. The features include vehicle diagnosis, breakdown service, service-appointment reminder, vehicle-health monitoring and incident management. The Prins Direct LiquiMax System (bivalent and monovalent LPG operation) for lower fuel consumption and reduced emissions, e.g., CO2 (up to 15 %) and particles (up to 90 %), with no loss of drivability and performance and starting direct on LPG. It has been awarded the world’s first R115 certification for direct injection engines. The VAS 6558A high-voltage module is essential to ensure the automobiles of the e-motion range are perfectly maintained. All testing functions for e-vehicles are housed in a small device. Great importance has been given to documenting the tests carried out and integrating the results into the fault investigation. The latest DIY TPMS (tyre-pressure monitoring system) from STEELMATE gives drivers a feeling of confidence. The tyre-pressure gauge in the cigar lighter and the lightest external sensors means the system can be installed on a DIY-basis in just five minutes. Added value: cost savings, lower fuel consumption, less tyre wear and easy pressure checking. With CE and E symbols and FCC certificate. Working together with PSA, Bosch has developed the world’s first hybrid system working with diesel engines for significant cuts in fuel consumption (approx. 25 %). The new Split Axle Strong Hybrid System is a combination of internal combustion engine and electric rear-axle drive and can be integrated into existing drive systems with relatively little effort. The Kärcher Supplementary Wheel Cleaning Programme guides the customer systematically and efficiently through the washing process because the cleaning agent is applied via the high-pressure gun. The system is extremely efficient and only uses 400 ml/min. of the water and cleaning agent solution. Moreover, the alkaline wheel cleaner is NTA-free and removes dirt without damaging the wheels. This app is an innovative solutions designed to increase customer loyalty, and to improve the dialogue between the customer and dealer and raise it to a new level. This is achieved by directly linking the app to the dealer’s DMS. The app is the modern car dealer for the pocket. The RFT GSP9700 is a wheel balancing machine with integral pressure roller that subjects the wheel to a simulated road-load test before balancing. The load roller measures the radial (run-out, out-of-roundness, tyre stiffness) and lateral (sideward pull) forces acting on the wheel, which, up to now, could only be measured by industrial machines.